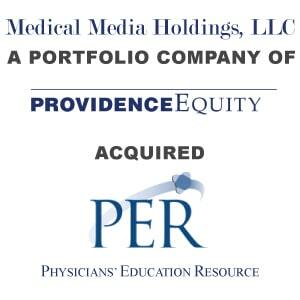 Physicians’ Education Resource Acquired By Providence Equity - Berkery, Noyes & Co., LLC. NEW YORK, July, 15, 2005—Extending its leadership in mergers and acquisitions among healthcare information providers, Berkery, Noyes & Co., LLC announces the sale of Physicians’ Education Resource, L.P. (“PER”) to Medical Media Holdings, LLC, a portfolio company of Providence Equity Partners, Inc., a private investment firm specializing in equity investments in communications and media companies around the world. Berkery, Noyes represented PER in the transaction. PER, based in Dallas, TX, is a widely respected provider of fully accredited Continuing Medical Education (CME) conferences & publications targeted to physicians who specialize in oncology. The company produces print-based abstracts, briefings and other materials, with accredited online and hard copy tests, on topics of current interest to oncologists and other physicians involved with treatment of various cancers. PER is also a leading producer of CME conferences and congresses in the United States. More information about PER is available at www.cancerpublications.com. With over $9.0 billion in equity commitments, Providence Equity has invested in more than 80 companies in over 20 countries from offices in Providence, RI; London, UK; and New York City. The firm seeks to create value by investing in companies with compelling growth opportunities in wireless and wireline telephony, cable television content and distribution, publishing, radio and television broadcasting, and other media and communications sectors. 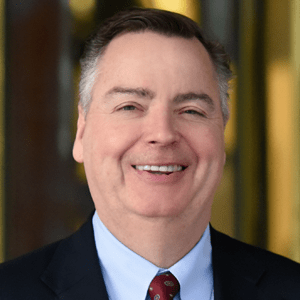 Berkery, Noyes & Co., LLC is the leading independent investment bank exclusively focused on the information and knowledge industry. In just the first half of 2005, Berkery, Noyes & Co. has closed 12 transactions in numerous information sectors. Buyer: Providence Equity Partners Inc.